These jackets are manufactured to equip all commercial vessels. They fully comply with the requirements of the regulations (IMO Regulations), which are mandatory for all life jackets used on-board Community ships. They are supplied in adult and child sizes. 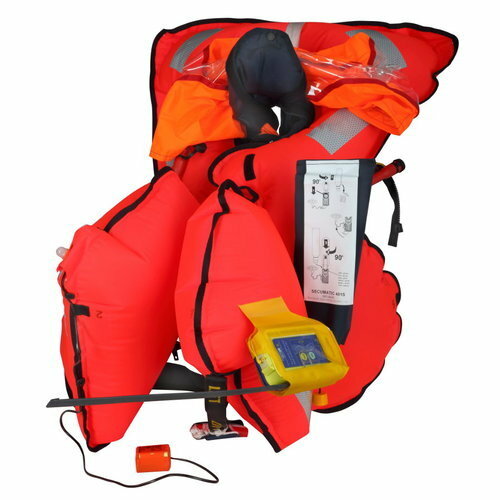 The adult lijacket is appropriate for passengers with chest size up to 175cm, oversize passengers, while are provided with lifting loop and yellow buddy line for easier rescue. We are a leading manufacturer, dealer and exporter of a wide range of Personal Protective Equipment's, Industrial Safety Equipment's and other Safety Products. We specialize in Industrial Heat Protective Garments and Accessories, Fall Protection Products and Industrial Safety Shower Systems.